Let’s face it; everyone wants to be a great shot. We all dream of drawing back on the animal of our dreams and watching the arrow disappear tight behind the shoulder. For some, this consistently becomes a reality, but for others, it will remain a dream unless they put in the time and work for it. There is one small difference between the hunter that consistently executes perfect kill shots and the hunter that regularly sends poorly placed arrows downrange. That one difference is preparation. You can shoot a lot of arrows over the course of a year, but if you’re not properly preparing for that one shot, you’re wasting your time. Preparation involves mental training, physical training and being sure your equipment is ready for your opportunity. 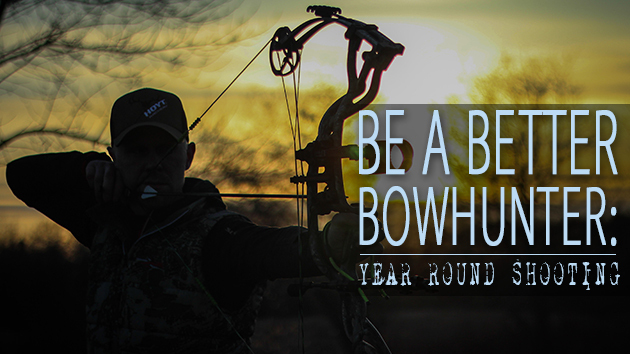 Year round shooting is a key element to successful bowhunting. It’s not enough to pick up your bow three weeks before season and expect to be a great shot. As a matter of fact, putting minimal effort and time into shooting before going hunting is considered unethical. We owe it to the animals we pursue to do what is required to ensure a quick clean kill from an arrow that is guided with precision rather than luck. Winter is the perfect time to work on shot execution. While the snow is piling up outside and daylight is short, an indoor range is the perfect place to pull out the back tension release and get back to the basics. You can have the newest, fanciest gear, but if you struggle with proper technique and follow through, you will fall apart in the moment of truth. While you may not have the time or money to shoot several times per week at a range, shooting in the basement or garage is better than not shooting at all. Close ranges really make you focus on execution and it only takes 20 minutes to shoot 30 arrows. Getting outside for some fresh air in the winter and sending a few arrows down range is another way to prepare for your season. It provides realism for those of us that hunt when the snow flies and opens our eyes to the challenges that gloves, toques and bulky sleeves bring. Throughout the west, 3D shoots are becoming more and more popular and they are arguably the most realistic scenario to prepare for hunting shots. Having a group of people watching over your shoulder will test your nerves in a similar way to the pressures that buck fever will create. Overhanging branches will force you to learn the trajectory of your arrows and the life-size animals will teach you the importance of aiming small. In the months leading up to hunting season, get outside and shoot as much as possible with the setup you plan to use for hunting. Windy days and low light will bring realism to your practice sessions. 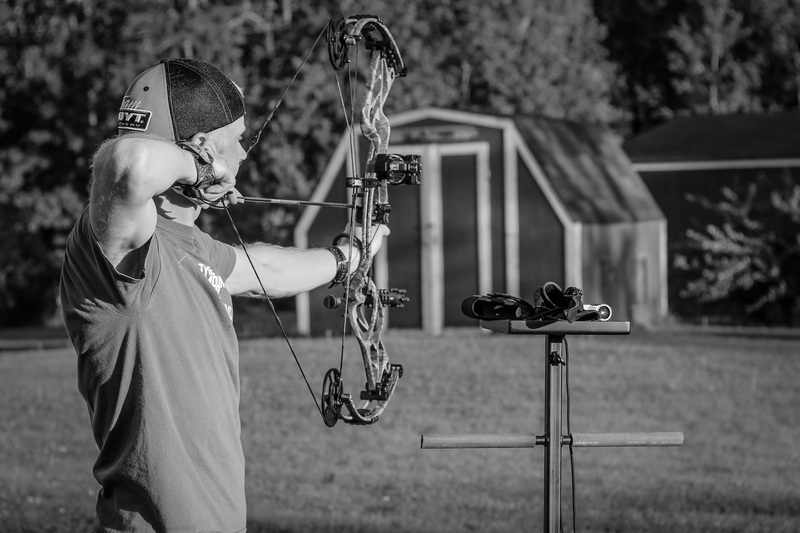 The only weather limitation you should apply to your practice time is that if you would hunt in it, practice in it. Stretch the distances that you normally practice in and it will build your confidence for closer, more realistic hunting distances. A 40 yard shot will feel easy if you’ve been practicing at 70. Shooting year-round requires commitment, but it is necessary. Through regular practice, you will keep muscles conditioned, maintain proper shot execution and using your bow will become second nature. Confidence is built when consistent results are obtained. Train your brain how to shoot under pressure and you will end up with more arrows in the vitals and better stories to share around the campfire.